Fatima Strkonjic was at home in Rejzovici, a settlement in the Kljuc municipality of north-western Bosnia and Herzegovina, with her husband Ale and her mother Fata Koljic, on November 21, 1992, when at around 11pm, three armed men broke into the house. They wanted money. Two of them were wearing military uniforms while the third was in civilian clothes. After Strkonjic ’s husband gave them 5,800 German marks and escaped, one of them approached her, pulled his gun and shot her in the head. Afterwards he killed her mother with a knife. The men in uniforms were Predrag Bajic, nicknamed Gagi, and Mladenko Vrtunic, both members of the Bosnian Serb Army. They were convicted of the crime by the cantonal court in Bihac in Bosnia and Herzegovina in 2014. 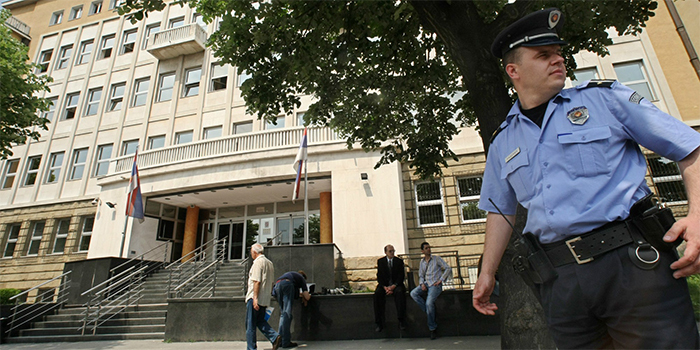 The third attacker is alleged to have been Zeljko Budimir, who was indicted for the crime in Serbia. The case against Budimir is typical of the 14 indictments issued by the Serbian War Crimes Prosecutor’s Office over the last two years – they usually charge one or two people who are not high-ranking army or police officers and are accused of crimes against a small number of victims. This is goes against the criteria for processing crimes outlined by the Strategy for Prosecution of War Crimes, which the Serbian government adopted in February 2016 and covers the period until 2020. The strategy says that high-ranking suspects should a priority. “I think the national strategy is already not fulfilling the goals for which it was adopted,” said Ivana Zanic, a researcher from the Belgrade-based Humanitarian Law Centre NGO. “I really don’t know what should happen in this brief remaining time [until 2020]so it fulfils them, if we know that the prosecutor’s office issued four indictments as a result of its work in the last two years, and that those cases are against one person, and in most of them there is only one victim per case,” Zanic added. Beside this, 10 of the 14 indictments did not originate in Belgrade but were forwarded to Serbia from the Bosnian state prosecution, according to the latest report by the Serbian War Crimes Prosecutor’s Office, published in December 2018. The report was an obligation under the action plan for negotiations on Chapter 23 in the EU ‘acquis’, the body of European legislation that Serbia has to adopt in order to join the bloc. The deadline for the report was the second quarter of 2016, but it was only published in December 2018. Jovana Spremo, an adviser from the Lawyers’ Committee for Human Rights, YUCOM, one of the NGOs monitoring Serbia’s EU integration process, said that “there is progress” in fulfilling the necessary conditions, but added that the will to prosecute war crimes has decreased over time. This could have negative impact on Serbia’s accession to EU, Spremo warned. “The Ministry [of Justice]is moving away from the subject of war crimes and it seems like there is no awareness that this attitude could hold Serbia up in the process of EU integration,” she said. “One of strategic goals of the EU Strategy for the Western Balkans[published in March 2018]is regional reconciliation, with the process of transitional justice which includes adequate processing of war crimes. There could certainly be a big slowdown in the accession talks] if there no proactive approach is shown,” she added. International watchdog organisation Human Rights Watch said in a report in January that war crimes prosecutions are facing serious obstacles in Serbia. “War crimes prosecutions remained hampered due to a lack of political will, adequate resources, and weak witness support mechanisms. Few high-ranking officials implicated in serious wartime abuses have been held to account in Serbian courts,” the report said. But the Serbian Justice Ministry insisted there has been genuine progress on war crimes cases. In written answers to BIRN, the ministry said that the results of the implementation of the national strategy are encouraging and “show full Serbia’s full support for all domestic judicial and executive bodies involved in investigations and issuing indictments”. “Considering the activities that have been conducted and those which are successfully in progress, it could be expected that a larger amount of activities is going to be conducted by 2020. However, it should be kept in mind that this is a complex question and therefore the whole process really cannot be done in a four-year period,” the ministry added. The War Crimes Prosecutor’s Office declined to give an interview for this article and did not respond to emailed questions. Serbia’s chief war crimes prosecutor Snezana Stanojkovic. Photo: Beta. In 2017, 56 people were reported to the War Crimes Prosecutor’s Office, but an investigation was only launched into one of them, the report shows – the smallest number on average since the office was established in 2003. There is no data in the report about suspects charged in 2018, but it says that the prosecutors started investigations into nine people. But by December 24, investigations into two of them were dropped and the probes into three others were put on hold. Investigations into four people are still ongoing. The current head of the office is Snezana Stanojkovic, who was appointed in May 2017. Before that, there was a period in which the country had no chief war crimes prosecutor, after the previous incumbent, Vladimir Vukcevic, retired on the last day of 2015. Ten months after Stanojkovic became prosecutor, the office published its prosecutorial strategy for the investigation and prosecution of war crimes for the period 2018-2023. Both the prosecutorial and the national strategies were obligations from the action plan for Chapter 23 of Serbia’s EU accession negotiations. But Spremo argued that the prosecutorial doesn’t identify indicators, deadlines or activities that should be be implemented. The national strategy propose that priority should be given to cases of crimes with a lot of victims, committed by high-ranking officials, or crimes that had a major impact on a local community. But the prosecutorial strategy takes a somewhat different tone, arguing that “all victims and members of their families deserve justice”, and questioning whether it is worth investing major resources in large-scale cases “or simultaneously working on multiple, less comprehensive cases”. 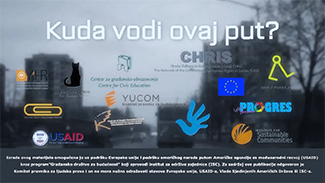 At Belgrade’s central railway station in February 2018, human rights activists commemorate the 25th anniversary of the Strpci train abductions, for which five people face trial in Serbia. Photo: Filip Rudic/BIRN. Since Stanojkovic became prosecutor, the War Crimes Prosecutor’s Office has issued nine indictments. The first was in December 2017, charging Joja Plavanjac and Zdravko Narancic with a crime against Bosnian civilians in August 1992. According to the indictment, Narancic was a guard at a military prison that was set up in the Petar Kocic elementary school in the town of Bosanka Krupa. He let Plavanjac, a Bosnian Serb Army soldier, get in to the prison armed with a machine gun, it is alleged. Plavanjac first killed ten people in one room, then another man in another room. The bodies were exhumed 14 years later from a mass grave. The two men’s trial is still ongoing at Belgrade Higher Court. The only bigger case that the War Crimes Prosecutor’s Office is currently dealing with is against five people indicted for seizing 20 non-Serb passengers from a train in the Bosnian town of Strpci in 1993 and then killing them. The Higher Court in Belgrade refused to confirm the indictment six times because of procedural mistakes, and three times ordered additional investigations. The indictment was finally confirmed in October 2018, and the court case should have started on January 29, but this was delayed because one of the defendants was sick. The prosecution’s report gives no data about which rank was held by the people indicted in the past two years, although the indictments themselves provide this information. The report does reveal however that the majority of the cases were actually forwarded from Bosnia and Herzegovina. Zanic noted that Bosnian prosecutors are also forwarding cases to Belgrade that are against low-ranking officers or people who held no rank. “It seems that Bosnian prosecutor’s offices are not forwarding cases against high-ranking officials because they know that the Serbian prosecutor’s office doesn’t process high-ranking officials, especially when they are from the military and police,” she claimed. Trials without defendants in the dock? The prosecutor’s report does not contain information about three more indictments that have been raised; one is for war crimes in Bogdanovci near Vukovar in Croatia in 1991, and the others are for crimes against civilians – in Sarajevo in 1992, and in Urosevac/Ferizaj in Kosovo in 1999. The accused in the Sarajevo case is a citizen of Bosnia and Herzegovina and the one in the Urosevac/Ferizajis a citizen of Kosovo. The War Crimes Prosecutor’s Office did not respond to BIRN’s query about whether the indictees are actually available to the Serbian judicial authorities. Serbian law allows trials in absentia if defendants are on the run or are not available to the authorities, but the criminal procedure code says this should only happen with very important suspects. Serbia’s national strategy for war crimes states that the availability of defendants, evidence, witnesses and victims are all criteria in choosing whether to prosecute a case. The strategy also says that “the government fully supports the practice of avoiding trials in absentia”. Experts agreed that trying suspects in absentia is poor practice. “It will not lead to any kind of reconciliation in the region and will not bring any satisfaction to victims,” argued Zanic.